When you think your closed head drums have reached the end of their lives, you can always reuse them for various useful things rather than sending them off to the landfills. One of them is to make storage alternative for your solid stuffs. All it takes is just drum deheader and good cleaning on the used drums. As the name suggests, drum deheader is a tool that opens the top of closed-head drums. The manual drum deheader works similarly to the can opener used in the kitchen, only it’s much bigger and stronger. 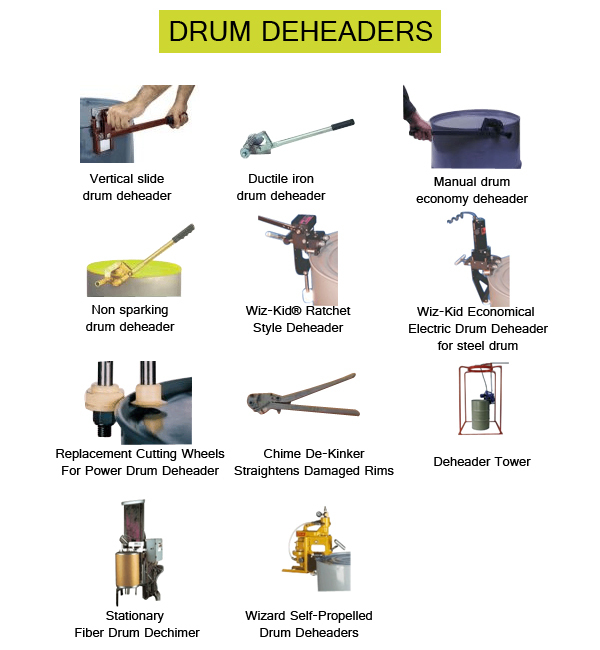 There are some varieties of drum header that one can choose from. Some are cheap, some are expensive. It depends on the functions that each drum deheader offers. The electric drum deheader saves a lot of energy and time and is especially useful for a company that deheads numerous closed head drums. Check out our complete list here or click on the links below to the different drum deheaders offered at BayTec.